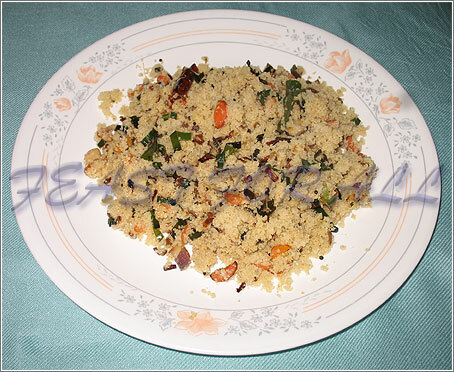 Note: To make the Upma spicier, you can add a little bit chili powder just before adding the semolina to the vegetable mix. Hmm… Quite different from my recipe. I wonder if people living in different areas in Jaffna cooked Uppuma differently. Must be different in different parts of Jaffna, My m-in-law does not add a lot of vegetables. Also my mother makes in 2 ways. Either she uses the sesame seed (Gingelly) oil or uses vegetable oil but if she uses vegetable oil, at the end she will add some Ghee for flavor and taste. I can share my recipe with you. See if it works for you. I made it into PDF file, so I’ll share with you in a Facebook message. Let me know what you think, if you do use it. Yes, I saw the recipe. Thanks for sharing. I will download it and see.